In an earlier blog-post, I followed in the footsteps of an imagined visitor to London from the west, entering the city through Newgate (having travelled, perhaps, from Reading or Oxford), and passing along Newgate Street to Saint Paul's. We left our visitor at the foot of Cheapside Cross, beyond which lies Cheapside itself, now, as in the past, part of the main thoroughfare running through the city from west to east. 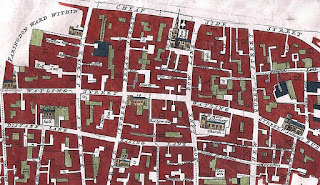 Newgate Street and Cheapside, together, closely follow the course of their Roman equivalent, the Via Decumana. "Cheapside remains now what it was five centuries ago, the greatest thoroughfare in the City of London. 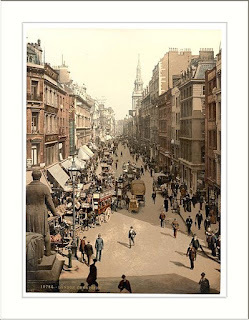 Other localities have had their day, have risen, become fashionable, and have sunk into obscurity and neglect, but Cheapside has maintained its place, and may boast of being the busiest thoroughfare in the world." Cheapside in the early 20th Century. Photo: Snapshots of the past (licensed under CCA). On either side of Cheapside were the shops of goldsmiths and jewellers. On its south side stood "Goldsmiths' Row," described by John Stow as "the most beautiful frame of fair houses and shops that be within the walls of London, or elsewhere in England ... It containeth, in number, ten fair dwelling houses and fourteen shops." This was built in 1491 by Thomas Wood, a goldsmith. The records of the Worshipful Company of Goldsmiths, which owned the freehold to these properties, show that the company tried very hard, throughout the 16th and 17th Centuries, to ensure that the shops and houses were let only to goldsmiths, but that, in practice, this was often difficult to enforce. Cheapside in 1639 (The Reception of Marie de Medici in London - Image is in the Public Domain). The lives of those who lived and worked here are celebrated (and satirised) in Thomas Middleton's (1613) play, A Chaste Maid in Cheapside. It was on the site of one of these shops that workmen in 1912 discovered the Cheapside Hoard, probably the stock-in-trade of one of the jewellers, buried for safekeeping in the early stages of the English Civil War and never recovered. We will almost certainly never know whether this artisan fell as a Royalist in the Battle of Edgehill (alongside his likely commander, Robert Bertie, the 1st Earl of Lindsay, who, as Treasurer of the British East India Company, may have had an interest in some of the jewels), or as a Parliamentarian (probably with Philip Skippon's London Trained Bands) in the Siege of Basing House. Cheapside separates Bread Street Ward, to its south, and Cripplegate Ward Within, to its north. Our visitor from the west might well have been tempted by the aromas of freshly-baked bread, to turn right from Cheapside onto Bread Street. As early as 1302, "the bakers of London were ordered to sell no bread at their houses, but in the open market at Bread Street" (Statute of Edward I). 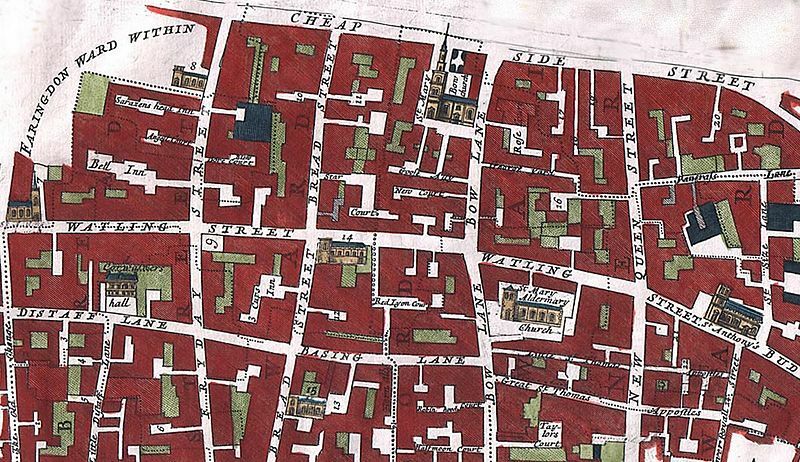 Bread Street and Cordwainer Wards in 1720 (image is in the Public Domain). 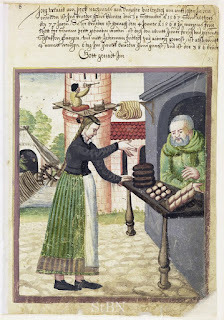 The City Livery Companies were responsible for regulating their respective trades (the Worshipful Company of Bakers, for example, was concerned to ensure that the flour in the London loaf was not adulterated with sawdust, chalk or other contaminants), and this was, at least in theory, made easier by having all the practitioners of a particular trade operating in the same areas. In practice, however, this did not prevent all abuses - the Cheapside Hoard includes a number of fake rubies, produced from rock-crystal. 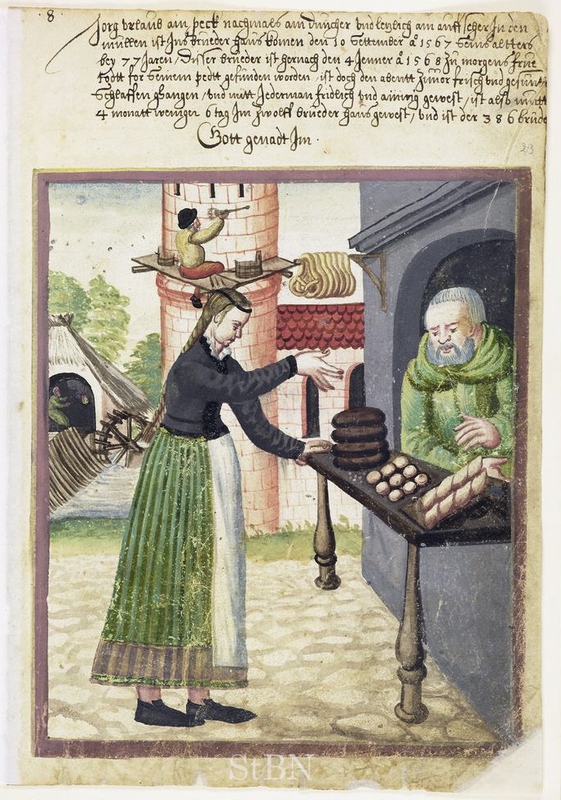 A woman buying bread from a baker, by Jorg Urlaub, 1568, Stadbibliothek Nurnberg (image is in the Public Domain). Friday Street was part of the domain of the Worshipful Company of Fishmongers, responsible for ensuring that all the fish on sale here was either fresh, or properly salted or smoked. Whilst Cheapside itself was clearly a thoroughfare, streets such as Bread Street and Friday Street are unlikely to have been navigable by horses or wheeled transport during market hours, being filled with market stalls, their owners and customers. 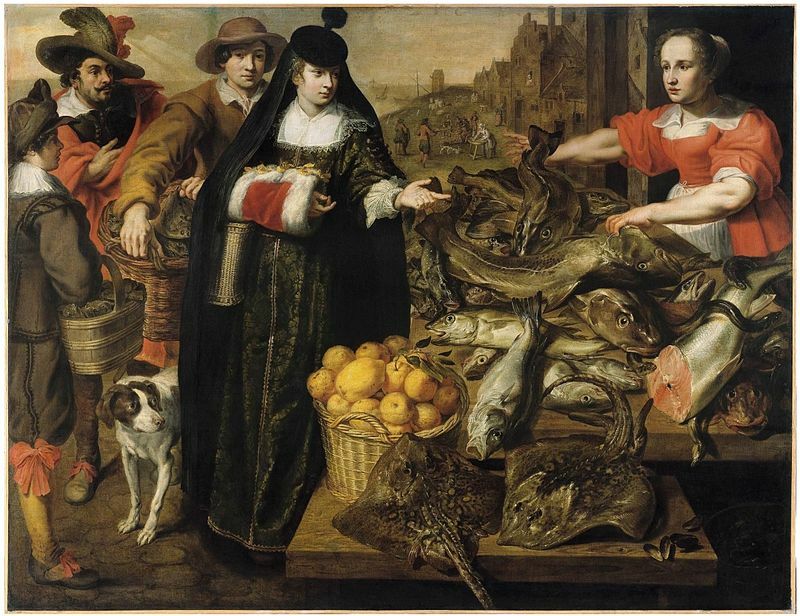 The fish market at Antwerp, by Marten Pepijn & Adriaen van Utrecht, c1630, Rubenshuis (image is in the Public Domain). Walking the streets of Bread Street Ward today, one has little immediate sense of its rich history. The Medieval Churches of All Hallows, Bread Street (where John Milton was christened in 1608) and Saint Mildred, Bread Street were both destroyed in the Great Fire of London. Both were rebuilt by Sir Christopher Wren, but All Hallows was demolished in 1876; and St Mildred's (where Percy Bysshe Shelley married Mary Godwin in 1816) was destroyed during the London Blitz. 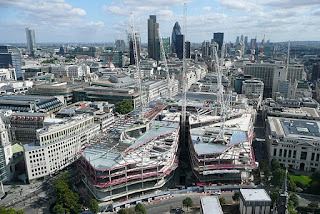 A large part of the Ward, including "Goldsmiths' Row," is now beneath One New Change, the only large-scale modern shopping mall within the City. The up-side of such developments is that the developers are legally obliged to fund archaeological excavations before they start building. I was fortunate to have a tour of the excavations whilst they were in progress (they revealed Roman, Medieval and Early Modern features), and the Museum of London's archaeologists are now working on the publication. 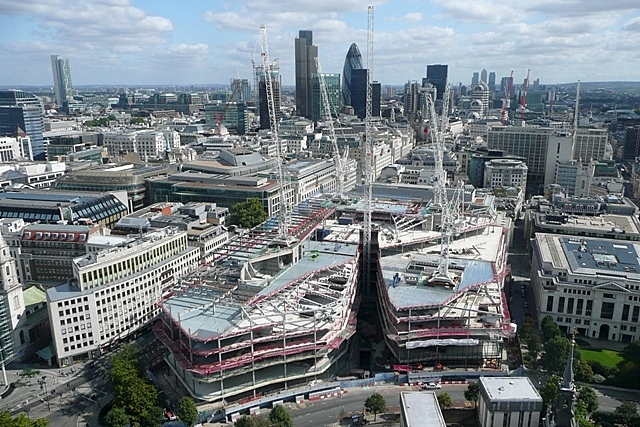 One New Change, under construction in 2009. The photograph is taken from Saint Paul's Cathedral, looking east along Cheapside (to the left) and Cannon Street (to the right). Photo: Graham Horn (licensed under CCA). Mark Patton's novels, Undreamed Shores, An Accidental King and Omphalos, are published by Crooked Cat Publications, and can be purchased from Amazon. 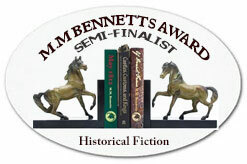 He is now working on The Cheapside Tales, a London-based trilogy of historical novels. I've always wanted to visit London. This just makes me want to visit it more :-). Thanks! Yes, despite the Great Fire of 1666, and despite the worst efforts of the Luftwaffe in the 1940s, there is still a great deal to see. The Museum of London is a fantastic resource, as are the London Metropolitan Archives, where many of the church records have been preserved.